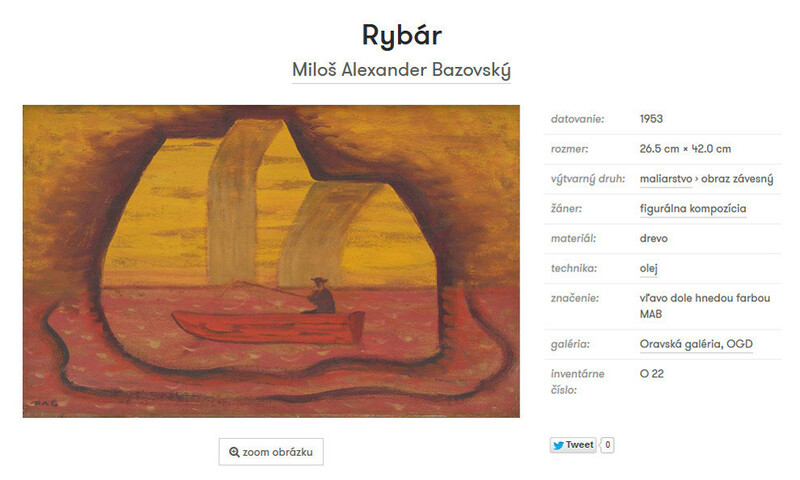 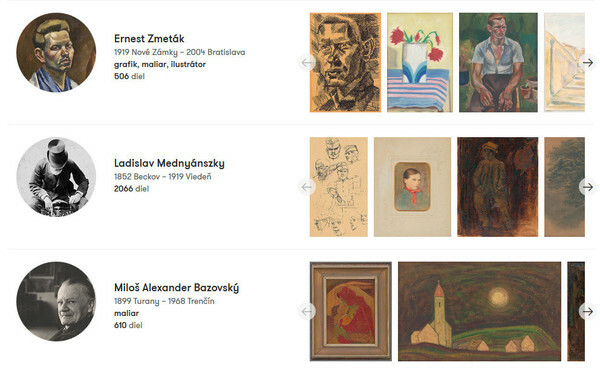 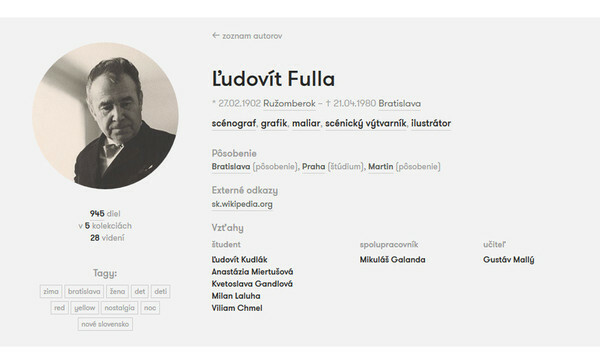 The Web of Art is online catalogue of artworks from the collections of the Slovak National Gallery listed in the Central Catalogue of Art Works. Here you will find basic information about the artworks and their authors, as well as original articles, videos and collections. The data and digital reproductions are regularly updated from the system CEDVU (Central Records of the Fine Art Works), where the employee of individual galleries share their data.